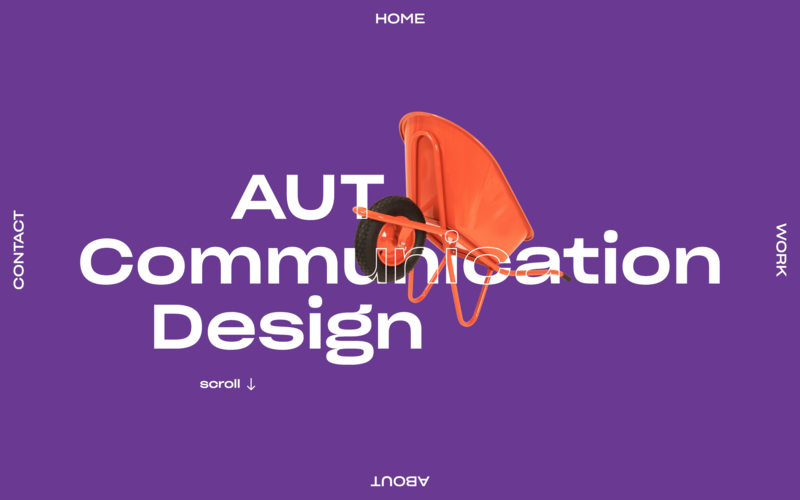 AUT Communication Design's graduation showcase. 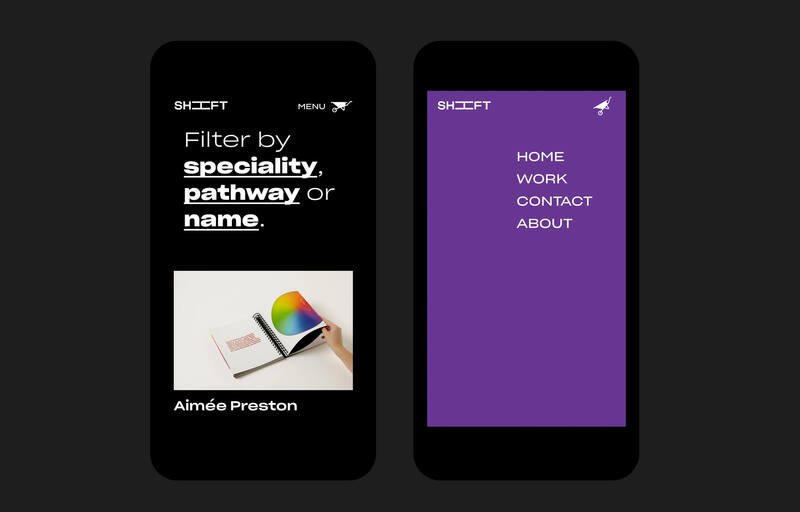 Shift Exhibition is the 2018 iteration of AUT's annual Communication Design Showcase. 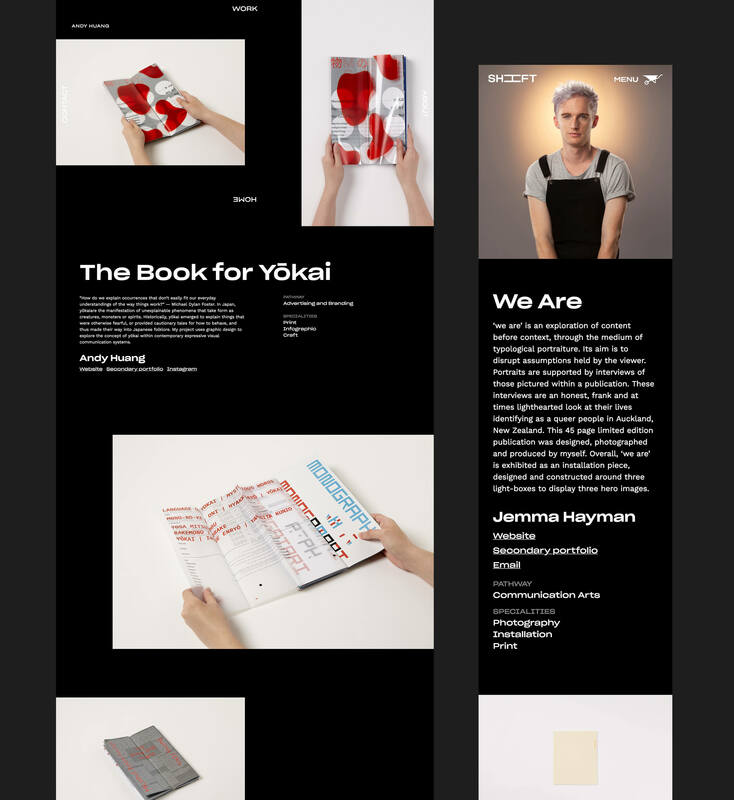 Our team was responsible for developing the online directory of student work. 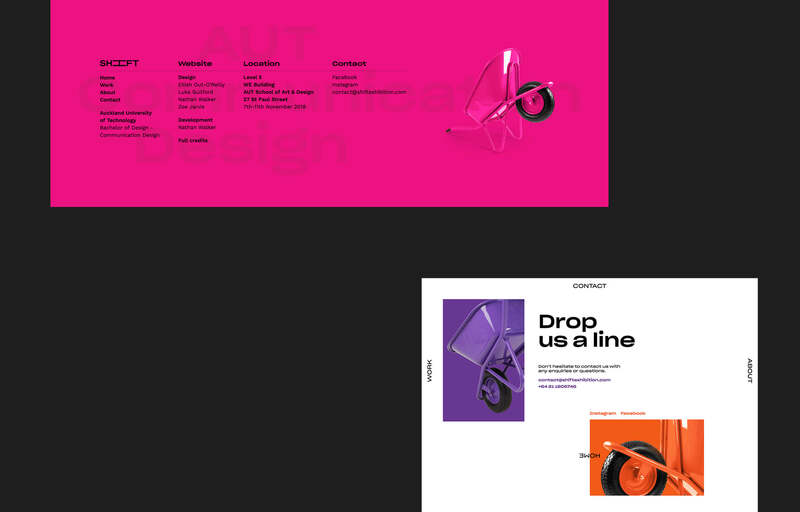 The website embodied the concept of Shift; with wheelbarrows that spin, a scroll which changes direction and logos animating, we really through everything at it. 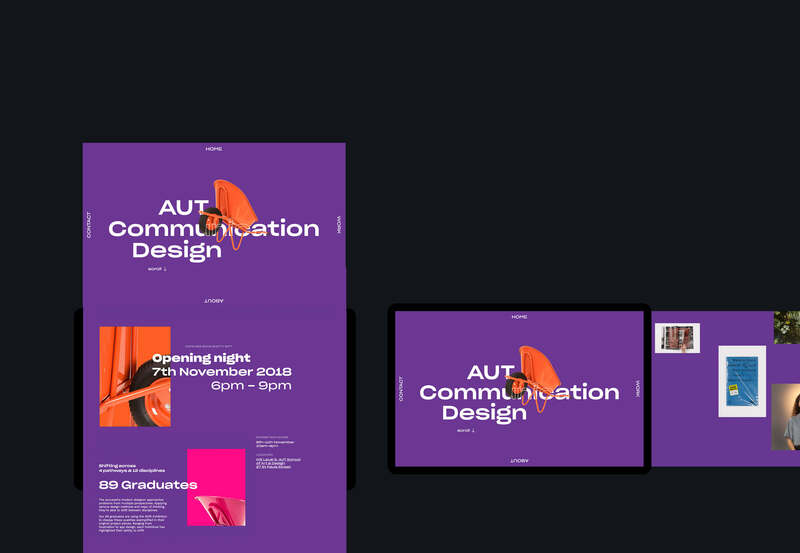 All while showcasing nearly 90 graduates on individual pages using 3 unique layout templates that catered to all image sizes. 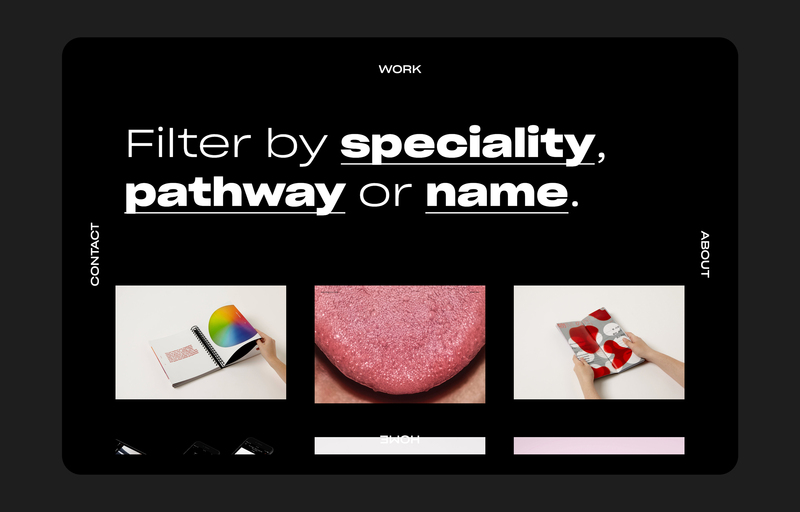 We also devised a filtering system, giving users 3 different ways to browse the work. 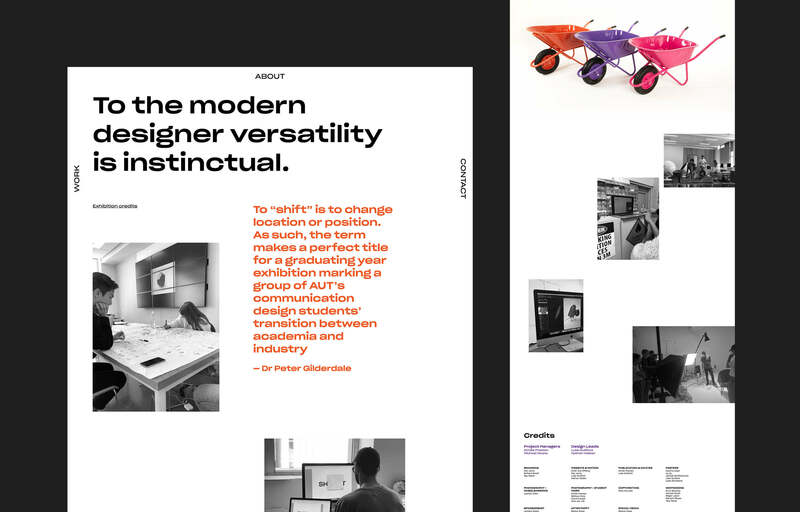 You can look through specialities like print design, photography and typography to name a few, narrow it down to each of our 4 discipline pathway classes, or search for students by name.